Join the authors of 'The Copyright Zone', Photographer Jack Reznicki and litigator Ed Greenberg for a full hour answering your questions on Copyright. Back by popular demand - X-Rite Photo presents - COPYRIGHT: You Ask The Questions, We’ve Got The Answers Part II. Join the authors of 'The Copyright Zone', Photographer Jack Reznicki and litigator Ed Greenberg for a full hour answering your questions on Copyright. In this webinar, Jack and Ed talk about the rules and regulations of Copyright law and answer your questions to help you successfully navigate copyright law as a photographer. Learn and understand copyright laws that effect all photographers. Whether your business is just starting or your are a seasoned commercial shooter, you won’t want to miss this. Their combined experience as pro photographer and litigator representing those in the photo industry, Jack and Ed will educate you on everything you need to know. Their wildly successful book "The Copyright Zone" is a bestseller and their lectures on the subject are in high demand. Title: COPYRIGHT: You Ask The Questions, We’ve Got The Answers - from the authors of 'The Copyright Zone'. 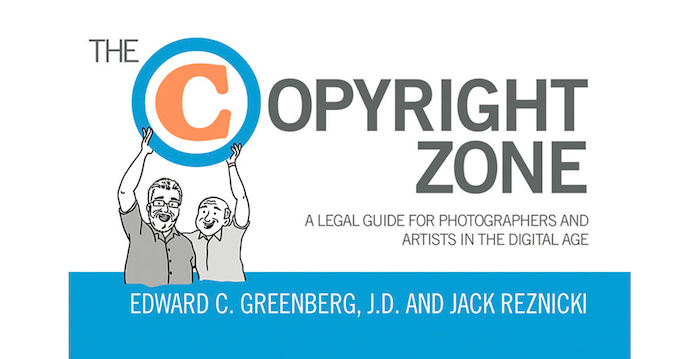 Bio: Jack Reznicki, Pro Photographer and Ed Greenberg, Copyright Litigator know the in's and out's of Copyright Law and co-authored the best selling book 'The Copyright Zone.